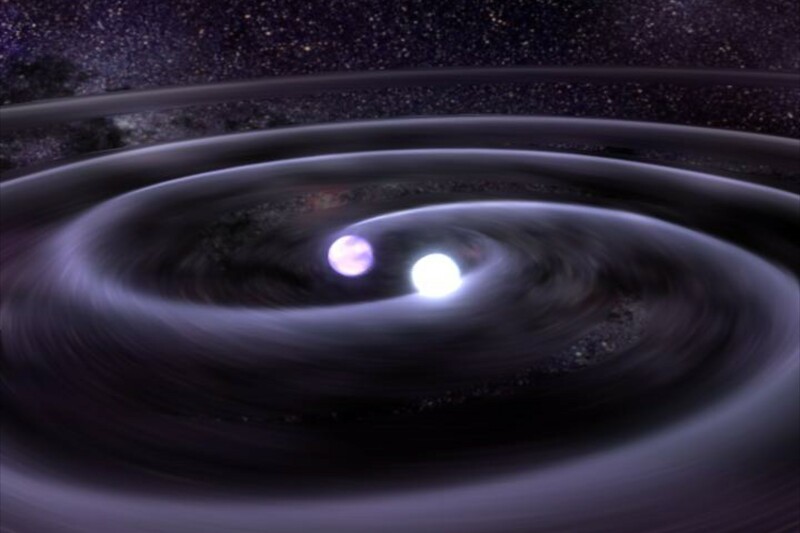 Explanation: About 1,600 light-years away, in a binary star system fondly known as J0806, two dense white dwarf stars orbit each other once every 321 seconds. Interpreting x-ray data from the Chandra Observatory astronomers argue that the stars' already impressively short orbital period is steadily getting shorter as the stars spiral closer together. Even though they are separated by about 80,000 kilometers (the Earth-Moon distance is 400,000 kilometers) the two stars are therefore destined to merge. Depicted in this artist's vision, the death spiral of the remarkable J0806 system is a consequence of Einstein's theory of General Relativity that predicts the white dwarf stars will lose their orbital energy by generating gravity waves. 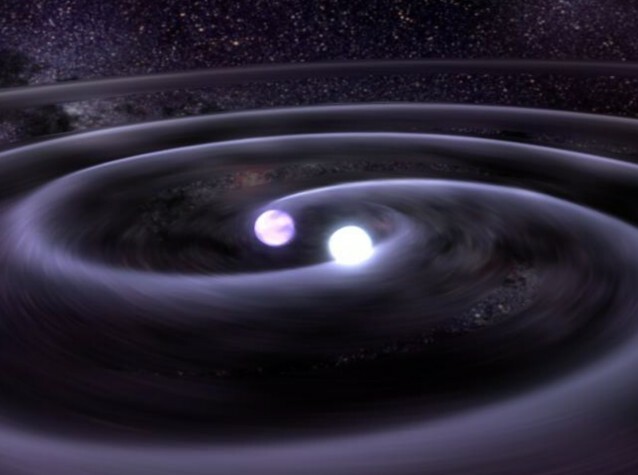 In fact, J0806 could be one of the brightest sources of gravitational waves in our galaxy, directly detectable by future space-based gravity wave instruments.